Don’t set your central heating to a higher temperature than required. Selecting an extra high temperature in an effort to warm a room extra fast doesn’t work – set the temperature you want and let your system do the rest. Don’t neglect boiler maintenance. A boiler that’s not working efficiently can not only make for higher fuel bills, it can be lethal. Just like your car requires servicing to ensure that it doesn’t break down and is safe to use, the same applies to your boiler. 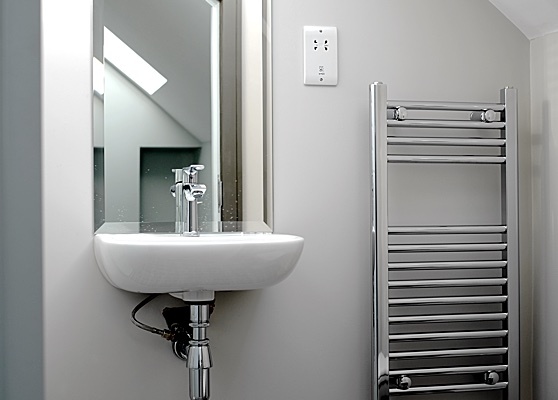 Things wear out after heavy use and can malfunction after a period of inactivity, such as after hot weather, so it’s important to have a gas engineer check your boiler and system once a year. 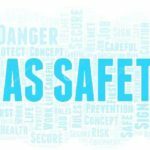 If you are in rented property it is legally required that Landlords safeguard you by having all gas appliances and flues safety checked annually, by a qualified Gas Safe registered engineer. If you own your own home, its strongly advised you do the same. Don’t forget to check radiators on a regular basis. When your plumber checks your boiler, ask them to check your radiators as well. A common problem is air in the system and this often occurs after water flow changes or a period of non-use. Air in your system has a negative impact on the yield of your heating system and your plumber can normally solve this by bleeding your pipes. Radiators also build up sludge inside from dirt in the water combining with rust. This rust comes from the inside of radiators, pipes and soldered joints. So, the older the system is, the more likely it is to have some heating sludge build up. Your heating engineer can normally resolve this by undertaking a power flush of your central heating system. Don’t ignore damp problems. The effectiveness of your central heating system is severely diminished by dampness in the air. 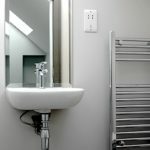 Damp air takes more energy to heat than dry air, so you’re wasting money if you’ve cranked up the heat but haven’t addressed the sources of dampness in your home. One of the biggest sources of moisture comes from dampness under a house. Fix any drainage, guttering, downpipe or plumbing problems. Don’t forget to insulate. Insulation, particularly in the ceiling and underfloor will have an enormous impact on improving the effectiveness of your central heating. Heating is only one piece of the puzzle. To really make your home warmer, drier and healthier, you need to think about how insulation, heating, ventilation and tackling dampness work together as a system.